This week we received our Nebraska Pollinator Habitat Certification for the Cherry Creek Pollinator Habitat. Our habitat earned a certificate and we also have an attractive sign to proudly display. Nebraska Pollinator Habitat Certification sign for the Cherry Creek Pollinator Habitat. So what does this mean to have a Habitat Certification? Providing a diversity of plant material essential to providing both nectar and pollen to support a healthy ecosystem. We use plants that provide pollen and nectar sources from early spring to late fall, provide a diversity of plants, flower shapes and flower sizes, choose older cultivars and heirloom varieties of annuals and limit newer introductions, incorporate pollinator friendly native plants into the garden and place plants in masses (three or more) to attract pollinators. Provide water, shelter and nesting areas for pollinators. Practice conservation practices to protect and support pollinators by reducing lawn areas, maintain a layer of organic mulch over tree roots, shrubs and plant beds, plant groundcovers or use mulch on thinly vegetated areas to decrease erosion, avoid chemical pesticides, herbicides, or insecticides where possible, use a rain barrel or other means of capturing/utilizing rainwater to irrigate plants and water plants only when necessary. 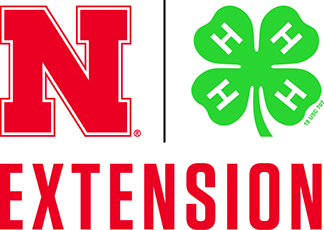 If you are interested in certifying your garden or want to learn the requirements, please visit the Nebraska Pollinator Habitat Certification site to see the application.